If Paula Dean provides an example of how a larger than life personality and killer branding can overcome mediocre email marketing, Cesar Millan is a classic example of how an equally big personality gets email marketing right. 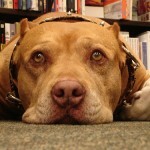 If you’re not familiar with Cesar, star of the National Geographic show, The Dog Whisperer, you should be. With a story every bit as compelling as Paula’s, Cesar has crafted an entirely new career, not as a dog trainer, but rather as the world’s leading “dog psychologist.” His show teaches the viewer as much – if not more – about people than about dog behavior. According to legend, Millan illegally crossed the border into the US at 18, with $100 in his pocket, speaking no English and not knowing a single soul in his new country. After stints as a dog groomer and limo driver, he began working with some of the most aggressive dogs in Los Angeles and gained a following, eventually attracting the sponsorship of Jada Pickett Smith, going on to star in the Dog Whisperer and founding the Dog Psychology Center. Every Sunday morning when I’m checking my email, Cesar’s weekly newsletter arrives in my inbox. (I would be curious to know how his marketing team selected Sunday as it is not one of the days known as “best” for email newsletter scheduling, yet the day fits well with Cesar’s mellow, spiritual personality.) Since I first subscribed, I’ve never failed to read his letter which is an engaging blend of personal stories, product advertisements, a guest post and a contest or reader involvement of some kind. Upon learning of Daddy’s passing and the Fund, I headed on over to make a contribution. Considering that the announcement of The DEAR Fund knocked out the servers, I think it’s safe to say I wasn’t the only one with that thought. In short, Cesar uses his weekly newsletter to build upon his relationship with you, the viewer. Wouldn’t you like to establish that kind of relationship with your potential donors and donors? Welcome to Best Friends Animal Society! We’re sending you this email because you’ve registered for updates on the Best Friends website. If this is incorrect, please send an email to info@bestfriends.org with “Unsubscribe” in the subject line. What can you expect from us? These e-mails will bring you the most up-to-date information on all the programs at Best Friends as well as general updates and features on the more than 1,700 animals at the sanctuary as well as our animal rescue efforts across the country. The work we do is vital to the quality of life of the animals we care for… and we couldn’t do it without knowing we had you behind us every step of the way. We’re so thankful you’ve chosen to support Best Friends. Please take a moment to explore our website and all it has to offer. Whether you want to learn more about animal adoptions or pet safety, there’s something there for everyone who loves animals. While you’re there, please also consider making a gift; or even becoming a part of our Guardian Angel program. Guardian Angels are a very special group of members who provide a constant source of security for the animals, and you could too with your monthly commitment today! For more information please be sure and visit our Guardian Angel site. Thank you for joining our efforts to make No More Homeless Pets a reality. First paragraph: lets you know why you’re receiving the email and how you can unsubscribe. Fourth paragraph: gentle ask, mention of monthly giving program (normally I am not a fan of having an ask in the first email, however this one is gracious and understated – I love the fact that not only does Best Friends have a monthly giving program, they are actively promoting it as well). Fifth paragraph: nicely reiterates the agency’s tagline and again thanks the subscriber. I counted up nine “you’s” in this email. It’s succinct, it’s engaging, it’s donor-centered. In short, this is an effective, relationship-building nonprofit email. So how can your organization do email marketing right? Well it ain’t by slapping a newsletter opt-in box on your website and sending out erratically scheduled emails only asking for money. On the other hand, developing an online following isn’t rocket science either. Locate an email marketing provider. There are many companies providing this service, from ConstantContact to Benchmarkemail.com to ExactTarget.com, but I highly recommend icontact for their superb customer service. In fact, in a recent survey of email marketing providers, icontact came in #1. Aside from the obvious factors of pricing and ease of use, icontact has phenomenal delivery rates. Beware of free email marketing providers. In fact, lose the free mindset. Now. Please. The provider you select will assist you in building the code to place an opt-in box on the home page of your website. I recommend to the right, above the “fold.” Decide, in advance, what information you’ll be collecting (I also recommend keeping it to the minimum – first and last name, email, and address). Make it easy to subscribe. Test the process out yourself a few times. I repeat: Make it easy to subscribe. Rather than “Subscribe to our e-news,” give your potential subscribers a reason to subscribe, even if it’s something very basic. Think through your own motivations (and your own cluttered email boxes). Why should your potential reader/donor subscribe? Begin including a tagline in your own email and regular signature lines, such as “Keep in touch! Subscribe to our monthly newsletter: link.” Automatically subscribe all of your staff and board members – and ask them to include the link and tagline within their own email communications. Decide upon a regular schedule for delivery (I recommend a bare minimum of once a month, either at the beginning of the month or the end, for consistency’s sake), design a template which utilizes your organization’s logo (all of the email marketing providers include scads of design templates to choose from), and decide upon the type of content you will provide. Sure, animals are often more compelling than humans, but that shouldn’t stop you from developing an engaging, donor-centered email campaign for your own organization. A systematized approach based upon relationship building is part of a sound strategy for online giving. I shouldn’t need to tell you that if your organization is going to put out an email newsletter today – only to let it fall through the cracks and reappear ten months from now – you’re better off steering clear. However I firmly believe that every organization, large and small, should make the time to learn effective email marketing. I urge you, too, to read Lisa Sargent’s report on nonprofit websites, email newsletter marketing and internet fundraising and think about how you could apply her conclusions to your organization. An email newsletter needn’t consist of 3-5 articles and tons of graphics – in fact a short, simple story-telling newsletter, with one or two photographs will be as effective. The key is to start – now. Disclaimer: I use icontact and I appreciate their high deliver-ability rates, ease of use and superb customer service so much that I became an affiliate. The above link is (gasp!) an affiliate link. Very well done article. I couldn’t have said it better myself. I don’t yet receive Cesar Millan’s e-Newsletters, but your article makes me want to sign up now. I really enjoy the show. Thanks for the distillation of the concept that many of us take for granted when communicating through electronic mediums. Thanks for publishing this example – and for breaking down why it works! The welcome email is one of your most critical touchpoints with subscribers, and I love seeing examples like this one where the email sets expectations well and drives the reader to action. Does icontact have autoresponders? Those imo are pretty awesome at giving subscribers incentive to give out their email. You can make week long courses delivered by email and the email itself becomes the incentive. AND they get into the habit of opening your emails because you’re offering valuable content. Pretty cool. Paul … what do you take me for? Of course icontact has autoresponders :-D.
Thanks for this information; I am sure you have helped many of us online. Looking forward to more great content.